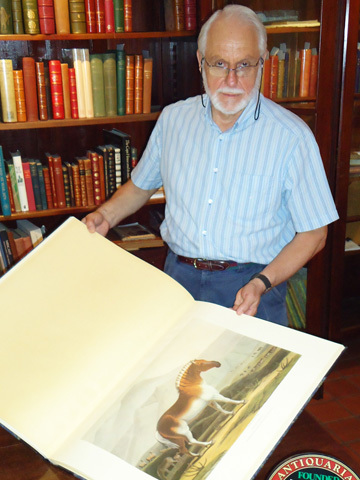 Paul Mills, (owner of Clarke’s Africana & Rare Books and AntiquarianAuctions.com) has been an active antiquarian bookseller in Cape Town for over 35 years. He set up the online rare book auction site AntiquarianAuctions.com over 10 years ago and has been running online book auctions ever since. He is a member of various rare book trade associations such as the Antiquarian Booksellers Association (ABA) in the UK and the International League of Antiquarian Booksellers (ILAB), the South African Bookdealers Association (SABDA) and various collectors’ societies.